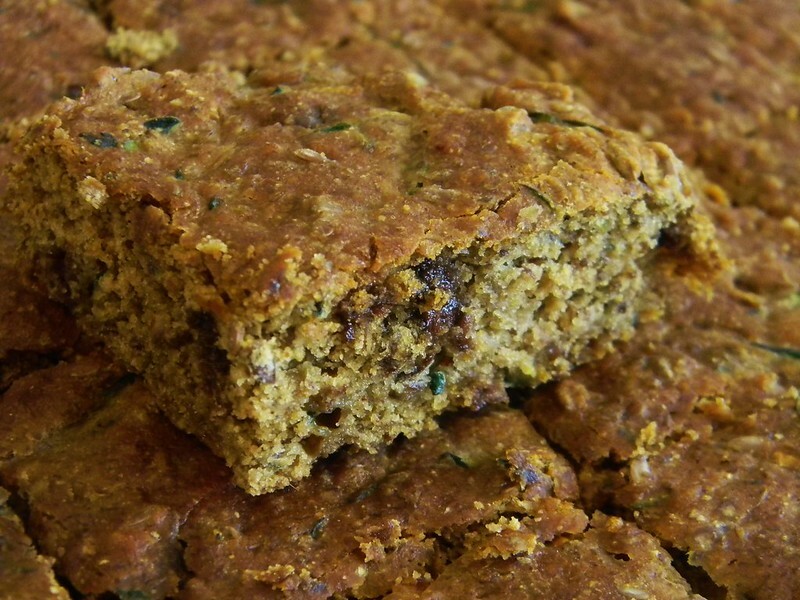 Gluten - Free Zucchini - Flax Squares | What Smells So Good? Preheat the oven to 350F and line an 8" square pan. Whisk the ground flax and hot water in a small dish. Set aside for 10 minutes. In a bowl, beat the oil, brown sugar, stevia, honey and vanilla extract until smooth. Add the flax mixture and beat well. Mix in the arrowroot starch, millet flour, sorghum flour, baking soda, salt, cinnamon, nutmeg and zucchini. Fold in the chocolate chips, and whole flax seeds. Bake for 30 minutes, until tests done.